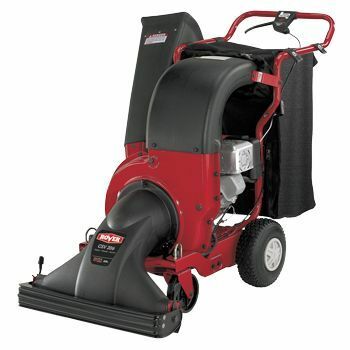 The Rover CSV206 walk behind chipper, shredder and vacuum is powered by a well known and high quality 205cc Briggs & Stratton Engine. This machine is also self-propelled meaning the operator is less likely to get fatigued and it makes their job a lot easier. The CSV206 has a chipping capacity of a massive 7.6cm because of the 2 large chromium blades that will make lightweight of your yard debris. Also boasting a huge reduction ratio of 10:1 so this machine can handle almost anything you can throw at it.